Are you on the search for a high-quality as well as a reliable company for your gate intercom repair needs? You can be sure that “Gate Repair Oceanside” is a specialized contractor with many years in the gate repair and intercom systems. Our services are fast, provided by expert and well-trained professionals, and meant to keep your family safe and your property secure. We can install a new intercom system, provide you with the best one on the market, repair, program, and replace it. 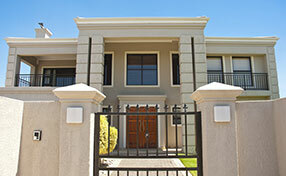 Do you still doubt the importance of gate intercom system installation? These systems are modern solutions to 21st century security problems. They come out in diverse styles and types in order to meet the demands of different clientele. Our repairmen know well that the requirements of a large enterprise, gated communities and schools are completely different from smaller gated commercial units or private residences. Though, all phone enter systems allow people to have direct contact with guests standing at the gate. 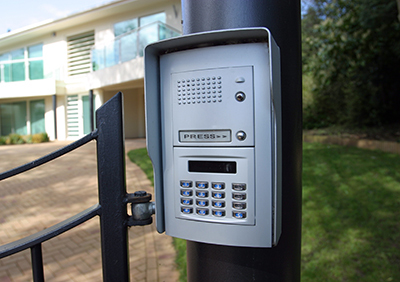 You can be sure that our technicians are experts in Intercom Install & Repair services. We do know the differences among brands, types and models and, thus, we can install and service intercoms properly. Intercom installation is a complex process since all these systems are complicated and may be wireless, connected to the existing phone and gate opener keypad, and have their own peculiarities. 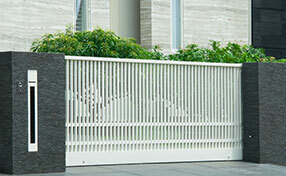 Some are made to facilitate the entrance of hundreds of tenants and need highly dedicated and trained technicians. 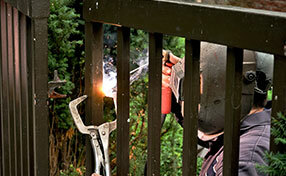 For this reason, Gate Repair Oceanside is very strict with the frequency of its technicians' training. We also give great attention to the quality of our tools and pick the best for intercom repair. Of course, all our products are manufactured by Aiphone, Linear and Doorking and so are our repair parts. When you need repair services for your intercoms, you can depend on the efficiency and great professionalism of our technicians. After all, we are fast, complete Intercom Install & Repair services on time and are great experts. Call for any service today!